Pancakes are a real treat for breakfast, yet they are so easy to knock up in the morning. Or better still, as a healthier alternative on Pancake Day this Tuesday. This version includes ricotta, which is a great dairy product to use when you are on a diet as it’s low in fat but still rich and creamy. Lemon thyme brings the fresh flavours together. 1. Combine the flour, cream of tartar, bicarbonate of soda, sweetener, thyme leaves and lemon zest in a large bowl and make a well in the middle. 2. In a jug, whisk together the milk, egg and ricotta. Pour into the well in the flour mixture, then whisk until you have a thick, smooth pouring batter. Fold in half of the blueberries. 3. Heat a non-stick frying pan over a medium heat and add a few sprays of oil. Spoon 3 dollops of batter into the pan to form 3 pancakes. Cook for 3 minutes on each side, then remove from the pan. Keep warm, wrapped in foil, while you cook the remaining pancakes. 4. 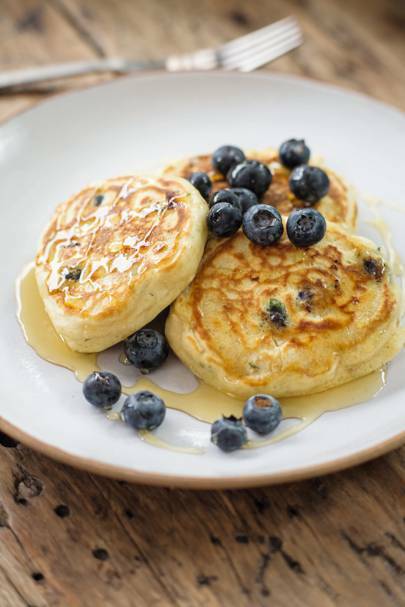 Serve 3 pancakes each, scattered with the remaining blueberries and drizzled with agave. 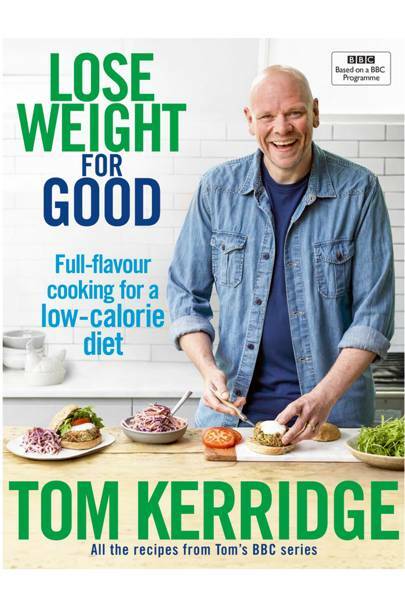 Extract taken from Lose Weight For Good by Tom Kerridge (Absolute Press, £22) is out now.